AV (Dspazio) awarded T63071: Harden normals in bevel modifier alters mesh when checked multiple times a Love token. Yegor (Yegor) updated the task description for T63071: Harden normals in bevel modifier alters mesh when checked multiple times. Yegor (Yegor) created T63071: Harden normals in bevel modifier alters mesh when checked multiple times. Yegor (Yegor) created T62881: 2.80 ignores hair root and tip radius if the object appended or linked from 2.79 file. Yegor (Yegor) updated the task description for T62758: Hair with a bitmap texture renders incorrect. Yegor (Yegor) created T62758: Hair with a bitmap texture renders incorrect. Silas Opel (Schamph) awarded T56408: Hair interpolated children recalculation on every frame when attached onto an alembic imported mesh a Like token. Yegor (Yegor) created T60485: Use modifier stack checked on simple hair children leads to texture disappearing. Yegor (Yegor) added a comment to T56408: Hair interpolated children recalculation on every frame when attached onto an alembic imported mesh. Sorry for reminding, but would you check it? It is very important for fur rendering. Thanks. Yegor (Yegor) created T59158: Lack of option Select for Move in 3d view. 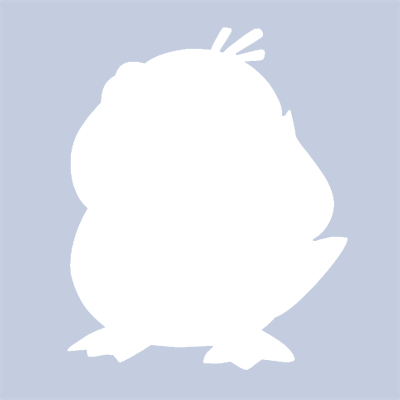 Yegor (Yegor) created T59155: Cannot select a light before objects. Selection priority issue..
Yegor (Yegor) created T56709: Glass shader artefacts rendered on gtx 780. Yegor (Yegor) created T56497: (Dyntopo) Snake hook sculpt brush slips off and affects the part of the mesh behind. Yegor (Yegor) added a comment to T56483: Particle instance modifier actually copies, not instantiates objects. So we cannot dynamically deform instances as hairs in memory efficient way... That is sad. Yegor (Yegor) created T56483: Particle instance modifier actually copies, not instantiates objects. Yegor (Yegor) updated the task description for T56408: Hair interpolated children recalculation on every frame when attached onto an alembic imported mesh. Yegor (Yegor) created T56408: Hair interpolated children recalculation on every frame when attached onto an alembic imported mesh. Yegor (Yegor) created T55632: Scaling back to 1 and transforming back to 1 (x, y, z altogether) multiple objects via properties->object->tranform panel gives incorrect result. Yegor (Yegor) added a comment to T55382: Scuplt with snakehook and dyntopo crash while undo. I missed the request to test somehow. Now it's done and the bug is gone. Thanks! Yegor (Yegor) added a comment to T55498: Newer version of openVDB leads to crash. Oh, by the way, this is what renderman manual says: "Houdini 16 uses OpenVDB 3.3.0 but RenderMan currently supports OpenVDB 3.1.0. You can ignore the message: "unsupported VDB file format (expected version 223 or earlier, got version 224)". The volume still renders correctly." Yegor (Yegor) updated the task description for T55498: Newer version of openVDB leads to crash. Yegor (Yegor) created T55498: Newer version of openVDB leads to crash. Yegor (Yegor) created T55467: Can't resize nodes in the node editor. Yegor (Yegor) added a comment to T55051: Blender seems to crash in combination with the new undo system and dynatopo in sculpt mode. Have just tested the latest master and the bug is gone. Yegor (Yegor) created T55382: Scuplt with snakehook and dyntopo crash while undo. Yegor (Yegor) added a comment to T55351: Sss gpu render speed degradation. Tested some more scenes and i guess it's scene related and can vary a bit. The speed is about the same. Somehow the tile size speedup slipped away from me. The light behaves a little different, though, but the task can be closed now, i think. No no, the tile size is understood and i'm really happy with those news. On my hardware it works best on 32x32, but the thing is even with this sweet spot it's still a bit slower than 2.79b with 256x256 GPU only. I could get the exact same time with the hybrid render - 1:12, but it's still more, than gpu alone on 2.79b, right? No, i used GPU only render with 256x256 tile size. Yegor (Yegor) updated the task description for T55351: Sss gpu render speed degradation. Yegor (Yegor) created T55351: Sss gpu render speed degradation. Yegor (Yegor) updated the task description for T54403: Obj import error. Yegor (Yegor) created T54403: Obj import error. Yegor (Yegor) updated the task description for T52666: [python threading] Opening a file via open_mainfile in a thread leads to crash. Yegor (Yegor) added a project to T52666: [python threading] Opening a file via open_mainfile in a thread leads to crash: Python. Yegor (Yegor) created T52666: [python threading] Opening a file via open_mainfile in a thread leads to crash. Yegor (Yegor) added a comment to T52615: Glass BSDF has colored reflection, what is wrong.. Thanks to Brecht, there is a quite obvious solution. Use Glass BSDF and plug volume absorption shader in the volume input. We get correct reflection + correct colored absorption in the glass! And yes, i mentioned that we can use Principled BSDF for colored glass, but it's a bit slower and doesn't provide physically absorption all alone. Oh, i got your point, thank you. I think you got me wrong. Glass is a dielectric and all dielectrics have reflection not colored. If a shader called Glass, it should behave like glass. Of course, glass can have a colored reflection if it's not a usual silicon glass, but have some metals mixed in it. There's is nothing to do with volume absorption. The default glass shader should have the white reflection and colored refraction. 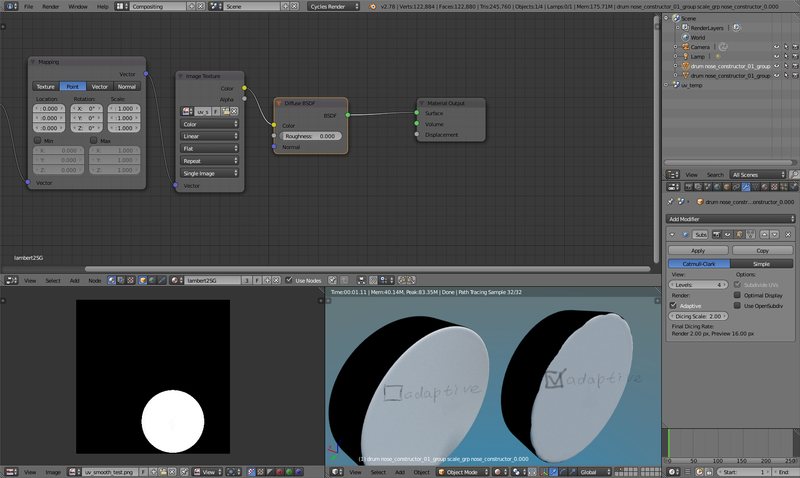 If we'd like to have a colored reflection, then we mix refraction node with glossy node and so on. Yegor (Yegor) created T52615: Glass BSDF has colored reflection, what is wrong..
Yegor (Yegor) updated the task description for T51970: Importing an obj file gives an error. Yegor (Yegor) created T51970: Importing an obj file gives an error. Yegor (Yegor) added a comment to T51488: Alembic export animated vertex color exports only first frame vertex color. Sybren, i have tested it with 2.78c official and since there was another bug in that release i reported, it's unable to export whole animation of the abc file with vertex colors checked. Blender exports only two frames of animation in that case. But even then those two frames have no vertex color animation. That two frames export bug is now solved in the trunk. Anyway, it's not a regression. It's a lack of feature, i believe. Yegor (Yegor) added a comment to T51562: Hairs won't sit on surface while b-spline option is turned on. Ok, i've got it. Thank you! Yegor (Yegor) created T51562: Hairs won't sit on surface while b-spline option is turned on. Yegor (Yegor) updated the task description for T51534: Incorrect vertex color data reading in imported alembic. Yegor (Yegor) created T51534: Incorrect vertex color data reading in imported alembic. Yegor (Yegor) added a comment to T51489: Blender crash after changed imported alembic reloading. Forgot to attach. Updated. Also added the abc file, but you'll regenerate it any way. Yegor (Yegor) updated the task description for T51489: Blender crash after changed imported alembic reloading. By the way. It's not alembic export related perhaps, but the dynamic paint system itself. I could not find a way to bake animated vertex colors from dynamic paint onto object. Applying dynamic paint modifier simply leaves the first frame of vertex color baked. Deleting it leaves no vertex color at all. But i think alembic exporting should read the information about vertex color from the modifier per frame. Yegor (Yegor) created T51489: Blender crash after changed imported alembic reloading. Yegor (Yegor) updated the task description for T51488: Alembic export animated vertex color exports only first frame vertex color. Yegor (Yegor) created T51488: Alembic export animated vertex color exports only first frame vertex color. Yegor (Yegor) added a comment to T51470: Alembic imports only two frames of animations when vertex color is checked while abc exporting. Yes, just tested on a nightly build and the bug is gone. Hope it'll keep it that way in master. Thanks! I've just tested it on my Debian home machine and got the same result as before on 2.78c. Are you sure you checked vertex colors in the abc export dialog? And what OS do you have? Here're two files. _vc - is for vertex colors. You can notice they have a huge difference in sizes. And i don't think it will be helpful. By the way, your file is different from mine in sizes for some reason. Yegor (Yegor) created T51470: Alembic imports only two frames of animations when vertex color is checked while abc exporting. Yegor (Yegor) added a comment to T51104: Dynamic hair kink braid style recalculates curves on each frame. Oh, thank you! Parting solves the problem in my situation. But hope that will be resolved in the future. Yegor (Yegor) created T51104: Dynamic hair kink braid style recalculates curves on each frame. Yegor (Yegor) created T50719: Memory consumption indicator won't reset (incremented instead) to zero while re-rendering on two video cards. Yegor (Yegor) added a comment to T50662: 2.78b became slower on render and more vram consuming. Oh man, after digging a while, i've found it! Yegor (Yegor) created T50662: 2.78b became slower on render and more vram consuming. Yegor (Yegor) added a comment to T40465: Sculpting multi-res has artifacts: grabbing between different levels. It still occurs, but Apply Base solves it. I think it should be marked as a todo. Yegor (Yegor) created T50587: Hair system, pick random from dupligroup leads to a huge viewport performance drop. Yegor (Yegor) created T49451: Units parameter resets to previous value. Yegor (Yegor) added a comment to T49431: Missing smooth (face-varying) UV subdivision.. It surely is experimental, but it's a huge game changer, and I just can't wait to use it throughout my projects. That's why i'm testing and reporting issues so bad:) And many people already treat it as a killer feature and make reviews, such as Andrew Price. Anyways, thank you for your hard work! It looks like adaptive subdiv doesn't smooth uv's borders at all. The texture has a perfect white circle and it should look like on the left cylinder. Yegor (Yegor) created T49431: Missing smooth (face-varying) UV subdivision..
Yegor (Yegor) added a comment to T49257: Alembic import. Normals are wrong where three edges meet while adaptive subdiv. Yes, Kevin, it happens only on the imported object, not on the generated inside Blender. And on 1.0 it disappears visually, but it still there, obviously. Yegor (Yegor) created T49257: Alembic import. Normals are wrong where three edges meet while adaptive subdiv. Yegor (Yegor) updated the task description for T49256: Renders imported obj each face separately while adaptive subdiv. Yegor (Yegor) created T49256: Renders imported obj each face separately while adaptive subdiv. Yegor (Yegor) added a comment to T49167: Adaptive subdivision dicing normals (?) error. Well, this is embarrassing. I can not reproduce this behaviour anymore on a new object or in a new file. But this file still has the issue, and it's something with this exact object. If you create another one and link the same material it renders fine, but if you copy the broken one, or copy the mesh and separate it into another object it will have the issue still. Yegor (Yegor) updated the task description for T49167: Adaptive subdivision dicing normals (?) error. Yegor (Yegor) created T49167: Adaptive subdivision dicing normals (?) error. Yegor (Yegor) created T47977: Multiple change of dimensions doesn't work properly. Yegor (Yegor) added a comment to T47232: Undo in sculpting mode slows down viewport drastically with hires mesh. Tried all the approaches you've recommended. Still the same. All the variants of the User Preferences gave no results. The --factory-startup gave no results. Nvidia driver is set to max performance with no V-sync. Version 340.96. Updated to 352.79 from repo. Still the same. Yegor (Yegor) created T47232: Undo in sculpting mode slows down viewport drastically with hires mesh. Yegor (Yegor) created T44611: Sculpting make multires link bug. Yegor (Yegor) added a comment to T44387: Cycles true memory consumption. Thanks a lot for the answer. That does make sense now. Yegor (Yegor) created T44387: Cycles true memory consumption. Yegor (Yegor) raised the priority of T40944: vertex paint non-painted triangles bug from to Needs Triage by Developer. Yegor (Yegor) raised the priority of T40468: Network render: fluid domain remains a box from to Needs Triage by Developer. Yegor (Yegor) added a comment to T40166: Dupligroup made out of a linked file object do not render on network.. Packing libraries did the trick! Thanks a lot! Yegor (Yegor) raised the priority of T40465: Sculpting multi-res has artifacts: grabbing between different levels from to Needs Triage by Developer. Please, confirm the bug. It's quite crucial for complex simulation projects with object instancing using. Sorry for that. Here they are. Two files, one of them is the reference for another (network_render_test.blend is the main one). And i'm rendering using "network render" with Cycles (render farm - to clarify), not just on the other machine on network. The linkage is relative.